You can’t go on social media without seeing all sorts of ridiculous fitness challenges. 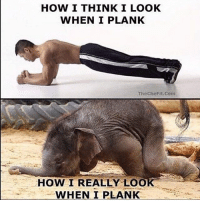 Plank challenges. Burpee Challenges. Abs challenges. Personally I’d rather eat glass than do a 5 minute plank. The kicker is that you know that most of the people doing these challenges are planking with somewhat less than good form. I saw an Instagram posted fitness challenge the other day that wanted you to work out twice a day for 45 minutes each time and have no cheat meals for 75 days, along with about 4 other demands. Sure. Let me put my entire life on hold for the next 75 days to show the buff guy in the picture how awesome I am. Listen, if you want to try some of these things then please be my guest. You get to push yourself a little and maybe if you do it with a group it can turn into a fun thing. I’m the last person to tell someone to stop doing any kind of exercise they actually enjoy. That being said, I thought I’d propose a fitness challenge that can actually help you and that you can even do while watching TV! It doesn’t look like much, but this simple stretch is the best thing I’ve found to loosen up your hips, back and shoulders and help improve your posture from the hips outward and you know my that your entire posture is set from the hips outward. What does the Egoscue Supine Groin Stretch do? This stretch focuses mainly on a muscle called the Psoas (pronounced SO-az). This is a long muscle that runs from from your lumbar spine on either side, down to just below your hips. See in this picture. The Psoas is one of the muscles that are responsible for allowing you to move your thigh toward your torso as in this picture. 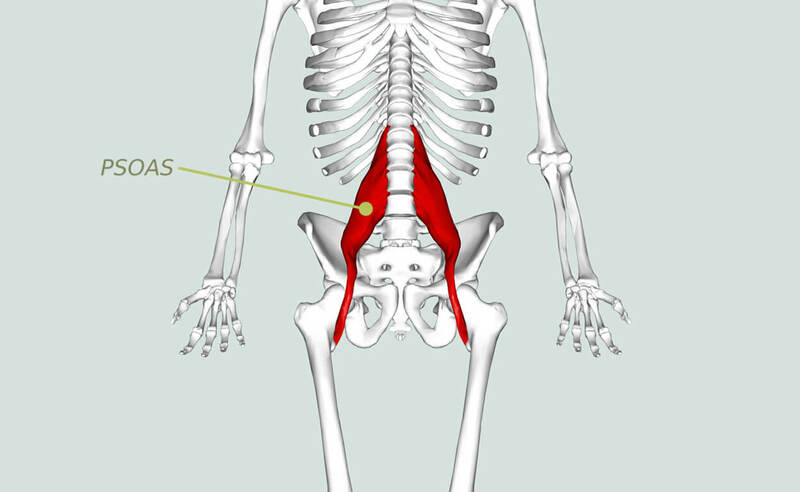 As a group, these muscle are called the Hip Flexors and the Psoas is the biggest and strongest of them. The problem with the Psoas is that due to modern society’s tendency towards sitting, it can get pretty tight, and due to it’s attachment position at the lumbar spine, that tightness can cause postural problems which result in back, hip, knee and possibly even shoulder pain. 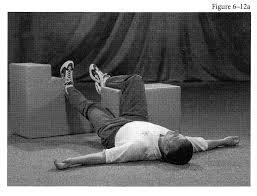 What the Egoscue Supine Groin Stretch does is help regain length and function in the Psoas. This helps put your body in better posture and helps reduce back pain, hip pain, knee pain and also possibly shoulder pain. Let’s refer to this picture one more time. It really is pretty simple, but there a couple of important things to be aware of. Let’s go over it. Lie flat on your back with one leg straight and the other hip and knee bent to about 90 degrees and resting on a box or chair. The foot on the straight leg needs to be propped against something so your toes point straight up. Keeping your toes pointing straight up on the straight leg is what allows the psoas to release and stretch. It’s also very important to have an object holding the foot straight up, not just you holding it. If you are keeping tension on the leg to hold it up under your own power, the psoas will not relax. If you experience back pain in this position it is likely because your psoas is a little extra tight. In this case, you need to elevate the straight leg like in this picture. When you start the stretch, contract your thigh for a few seconds. You will likely feel the contraction close to your knee. Repeat this every 5 minutes or so. As you hold this position over time you will feel the contraction higher up your leg. When you feel that change, drop your leg a little lower. I like to do this while watching TV at night. I’ve been through several seasons of Homeland and The Walking Dead this way. Half the show on one side and half on the other. I’ve been doing it long enough that I get a nice release from 10-15 minutes on each side although I still like to do 15-20. If you haven’t done this before it might take a bit longer. I remember the first time I did it, it felt like nothing was happening for a while and then all of a sudden my leg just started vibrating and relaxing like crazy. It was quite an experience. Do this stretch for 30 minutes per day (15 minutes on each leg) for the next seven days. That’s it. I’m pretty confident that you will feel some pretty powerful results. What’s most important is that you will start to realize the importance of your overall posture in how you feel and move every day. I have found this stretch to have a massive impact on back pain, hip pain and knee pain. It very well may be the best thing I’ve found to help with these things and no, I’m not exaggerating. If you need more convincing just do a quick Google search for “Egoscue Supine Groin Stretch” and look at what comes up. Also, if you want to have a little more fun with this challenge please post a picture on Facebook or Instagram or both. Tag me in it (Facebook or @mitchrfitness on Instagram) and use the hashtag #CVFitnessSupineGroinChallenge. Write how you feel in your post. I’ll be doing it, too.